Borderline Personality Disorder (BPD) is the experience of living from one's false self trapped within the spiral of past losses that obliterate the experience of relational moments in the "here and now". Borderline Personality Disorder can be defined by the psychological death and loss of the authentic self that arrests emotional development before the age of 2 or 3 years old. Borderlines, those with BPD, live in and through a narcissistic borderline false self - a protective and self-destructive pseudo-self. Borderlines have no consistent or congruent age-appropriate sense of a known self. Stemming from the core wound of abandonment this borderline false self experiences much of life, especially relationally, in polarized and highly negative ways. The fear of loss and the fear of the pain associated with all of the loss, loss that stems back to the original core wound of abandonment where the borderline's authentic self was lost must be resolved in order to heal from BPD. As I saw and experienced these spirals of loss in my own life they are a series of plains. I travelled up this series of plains, a spiral at a time, much like one climbs a ladder a step at a time. As I graduated through the resolution from one spiral to the next learning growing as I went, there was an eerie sameness to the process of the pain, the usual cause: loss, and the cycle of grief that took place on each plain of the spiral that is was my healing journey. Each step of the way though, I reminded myself, that while the pain and loss felt familiar and like I was going backwards it is really about moving forward. The spiral in the life of each borderline is one that circles around a central axis. That axis is the often lost, yet hidden, authentic self that lies beneath the ego-driven borderline false self which is especially visible in borderlines a the guardian of the system of defense mechanisms that are so "self" defeating. Borderlines lack a stable sense of identity and the borderline false self plays on this. The borderline false self is created when one's needs are not met and when the borderline dissociates from who he/she really is based upon negative and painful experiences usually associated with or resulting from significant others upon who the borderline is dependant as he/she is developing for his/her sense of self. In other words the borderline false self is a response to this loss of authentic self. It is the defense mechanisms of the often narcissistic ego-driven borderline false self that leaves many a borderline, in recovery, in utter grief at the realization that so much loss is the result of continuing to push and to pull, self- sabotaging behaviour in relationships designed to shame and re-shame as the all-encompassing narcissistic ego is shown time and time again that in order to stop the spiral of losses the borderline must learn to reach out to others instead of constantly reaching out to the borderline false self as experienced by the borderline through others. No one gets out of childhood without some kind of loss. We are all like new ships being put into the water when we are born. Each one of us will have bumps and scrapes, maybe even open wounds. Life is an imperfect condition and it scars us. It is then up to us what we are going to do about those wounds. Many of the wounds that we leave our childhoods with (though many are still struggling well into late-adulthood to leave those childhoods behind) are as a direct result of loss. You have the necessary courage to put your past to rest. You can face it, feel it, grieve it and let it go. Welcome yourself to the here and now. A now that awaits the arrival of your true self. "Courage doesn't always roar. Sometimes courage is the quiet voice at the end of the day saying, "I will try again tomorrow." anon. The pain will stop when it has past its usefulness in terms of your grieving and your learning. If you are still hurting, it means that you are still learning. Often too, when we solidify a lot of growth and healing, we may come to find that there is still some more work to do, some more pain to express, grieve and let go, this can cycle back around and be as painful as any previous work that one has done. The good news is that once you make it through one round of pain and learning and growing you will know how to take care of yourself and to cope through subsequent cycles as you spiral your way up and out of your past. It is important to know that it is actually a kindness and a nurturing thing you can extend to yourself when you are patient with the pain that you feel as you continue to learn. In times like these we just have to keep putting one foot in front of the other and not lose sight of the main goal, wellness and peace and life with some peace and happiness in it. Life is change. Growth is optional. You can decide to free yourself of old patterns by choosing growth, by transforming yourself each time you learn something new as you reach another plain on your spiral of loss. Change is an on-going thing but whether you decide to grow or not as a result of it, is your choice. "The human organism knows how to heal itself, once it knows its symptoms are normal." Gail Sheehy, in New Passages) Normalize your symptoms. Understand that when you hurt there is a real and true purpose to that pain. Accept that. Flow with it, don't resist it for that is the way through it. Grieve what hurts you. Cry. "Pain is the difference between what is and what I want it to be." (Spencer Johnson, in The Precious Present) You know what is. Think about what you'd rather have in your heart and in your life and pursue it with an unshakable determination. You want what you want for a reason. You deserve what you want. In order to get what you want you need to change, to grow, to acknowledge your losses and to grieve them. Each time we acknowledge and grieve a loss we move up one plain on the spiral of all of our losses. Even our growth is loss. When we grow and change and integrate more of our true selves into our lives the loss that we must grieve is the time that we spent living our lives unaware of the opportunity that we have and the courage and power that we have to effect the change that we need and want in our lives to be who we really are, grieve our losses and move on to what we've always wanted to be and have in our lives. If we cling to our false ego-driven selves we are setting ourselves up for untold and on-going loss. As each loss compounds the one before it, we add to our spiral. The more we add to our spiral of loss the more we imprison our true selves within the axis that our spirals of loss gravitate around. Making the same choices will only result in you getting the same painful, shaming consequences. Refuse to keep reinforcing the negative, toxic, and unhealthy models of relating and connectedness that you experienced in your developmental years. Step out of the spiral of loss long enough to see how to change it. Step out long enough to realize that you can travel each spiral, in healing, until you free the axis, (authentic self) itself. This is when you will no longer be tied to the pain and to the shame and humiliation that you have been tied to within the context and confines of Borderline Personality Disorder. Recovery from Borderline Personality Disorder, among other things, is the recovery of the lost authentic self from the borderline false self. It is the journey From False Self To Authentic Self In BPD. It is the journey of getting in touch with the the lost inner child. © A.J. Mahari, October 7, 2001 - with added material June 29, 2008 - All rights reserved. A.J. 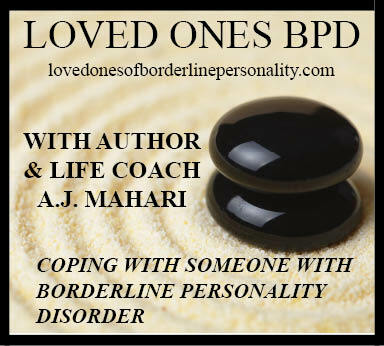 Mahari is a Life Coach who, among other things, specializes in working with those with BPD and non borderlines. A.J. 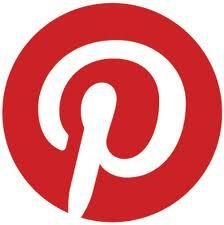 has 5 years experience as a life coach and has worked with hundreds of clients from all over the world.